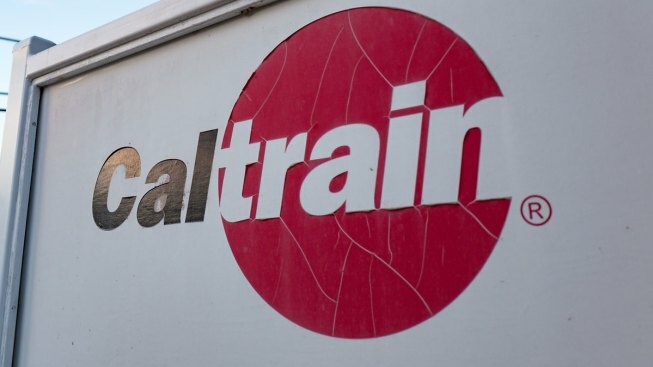 File photo of Caltrain logo. The northbound Caltrain 801 train fatally struck a person on the tracks at the California Avenue Caltrain station in Palo Alto this morning, a transit agency spokesman said. The train hit the person around 10:17 a.m., according to Caltrain spokesman Dan Lieberman. Emergency workers are at the scene, and trains are single-tracking through the area at 20 mph, he spokesman said. There are about 596 passengers on the train, Lieberman said. No one on the train has reported an injury, the spokesman said. To get an estimate of the delay to passengers and any further information, Lieberman advised the public to check the transit agency's Twitter account, @Caltrain.